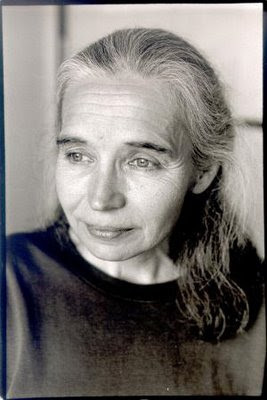 Alison Des Forges is dead. She died in the crash of Flight 3407 from Newark to Buffalo on February 12, 2009. Colette Braeckman's eulogy is here, the NYT obit here, the New Yorker's here, WaPo's here. NPR's interview with Ken Roth, the director of HRW, is here. Other eulogies are beginning to trickle in, as the news spreads, here, and here, and here. I will post others as they come in. From Tatiana Carayannis, here; Slate here, Lindsey Hilsum in the Guardian, here. The Economist, whose lovely obituaries almost make it worth dying, remembers her here. I knew Alison from her work in and on Rwanda. She was a remarkable human being. She was one of the few American scholars intimately knowledgeable about the country, its people, its history, its social systems and its political economy. She was as dedicated an individual to the betterment of Rwandans (and other Africans in the region) as anyone I know. She was intellectually honest and ocnsistent in her approach to problems. Africa and we have lost a true friend. This is huge loss for the worldwide human rights! Alison was the best and greatest person I’ve ever known. Our Hearts are broken. My condolences to her family! May god receive her at his right!